The reality of the situation to the question above is that none of the processes are perfect in respect to their capabilities for handling all cutting requirements; rather, each has its niche area that may involve a thickness range, cut part tolerance advantage, metallurgical advantage or an outright speed/productivity advantage. This article provides a better understanding of the systems that will best suit a particular application and a high level overview of the cutting processes and metal cutting performance. While each of these cutting processes requires relatively sophisticated CNC motion control and fume control equipment, as well as CAD and CAM software packages to unlock the best potential, there are differences in these requirements for each process. 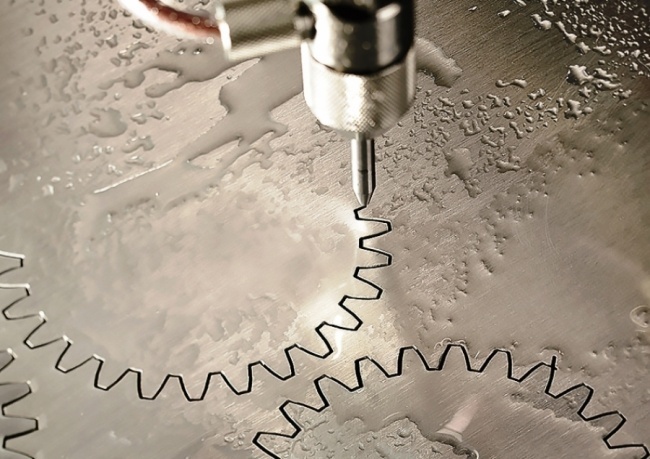 As an example, motion control systems on a laser designed to cut thin steel at very high speeds are required to have much greater accuracy as compared to the motion control system for waterjet or oxy-fuel that operates at much lower cutting speeds. These requirements have a direct and often large effect on capital equipment cost differences between these technologies. This type of cost calculation must include consumables (gas usage, consumable nozzles, electrodes, garnet abrasive, etc.) and utilities, (electricity, water), etc. In some cases, amortised capital equipment cost may also be included, as well as labour cost (such as for loading fresh sheets, or unloading cut parts and scrap). It is necessary to ensure that the same type of inputs is used for each system when comparing the relative cutting costs of each. The cut costs should be broken down to per metre or per part as opposed to cutting cost per hour, as this levels out the speed advantages that some processes have on some materials. The cutting cost per metre calculations will always show large advantages to the processes with the cut speed advantage. This attribute puts the heaviest weight on the software (especially CAM) as well as the CNC control capability. Today’s best technology systems have relatively short learning curves and have developed embedded expertise in the systems, often minimising the need for expert operators. While difficult to put a value on these types of advantages, it is necessary to think about this when introducing sophisticated systems on the shop floor. 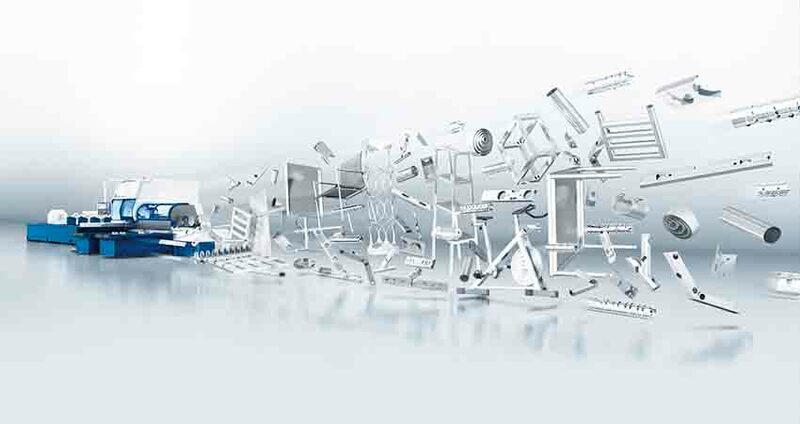 Often also called throughput, this is essentially the amount of parts that are cut to specification at the end of a shift. Productivity or cut speed is the biggest influence on the real cost per part and, in some cases, accuracy specifications of cut parts (that may have been tighter than necessary) can be reduced in favour of a process that provides dramatically lower cut costs and a bigger pile of parts in a shorter period of time. There are many ways to measure the accuracy of the wide variety of parts produced in metal fabricating. Often the outside contours of parts have much looser tolerances as compared to inside details such as holes. Also, often times, only the top of a part is measured, yet the bottom (based on edge taper) will be substantially different in dimension. For simplicity, plus or minus expectations for tolerance as measured from the top of the part will be used here, as well as a reference to edge angularity for each of the processes. All of these processes will produce some different effects on the cut edge metallurgy that can affect machinability, formability and weld ability. Some of the long term operating cost calculations with each form of these systems will be affected by the need for maintenance, as well as the level of expertise required to perform that maintenance. Each process will now be briefly described. For comparative purposes, a ‘complete system’ capital equipment cost will be calculated and is for comparative purposes only. This would be the landed cost of a turnkey system on the shop floor, with a 1.5 x 3 m cutting area, an industrial quality CNC machine (i.e. not an entry level or lightweight machine), and CAD and CAM software. The following numbers are for rough comparisons, taking into account the fact that some systems require a more precise and sophisticated CNC machine as compared to others – which will impact the pricing. The oxy-fuel cutting process is by far the simplest of the cutting technologies being discussed. The process essentially uses a fuel gas to heat steel to its ‘kindling’ temperature of around 980oC. Once the steel is at this temperature (preheat), a pure oxygen jet is activated to create an exothermic reaction with the hot steel, rapidly eroding the steel. Oxy-fuel has the ability to cut only mild steel, and does a good job in the thickness range 6 -150 mm. Cutting speeds are better than other processes on material thicknesses over about 50 mm. It is easy and inexpensive to add multiple torches to a CNC machine to increase cutting speeds by cutting multiple parts simultaneously. US$40,000 – 50,000 (relatively simple machine due to low speed requirements). Gas usage is fairly high and cut speeds are slow, but the cost of cut parts gets more competitive with plasma as the steel gets thicker. Typically oxy-fuel has a moderately high cost per metre as compared to plasma and gets better on 50 mm and above. Oxy-fuel cutting on a CNC machine requires a high level of operator skill to get the best cut quality and maximum speed potential. Constant monitoring of the cutting process is generally required. This is a relatively slow process with its advantages being based on lowest capital cost and the ability to cut very thick steel. With a good operator (able to set proper speeds, heights, gas settings, tip size) the oxy-fuel process can typically achieve tolerances in the +/- 0.75 mm range and with edge angularity of less than 1 degree of edge taper. Large heat affected zone is produced because of the low speeds and edges are typically rough and with some dross removal required. Simple systems to maintain which typically can be handled in house. High definition plasma uses a high temperature ionised gas to produce a high energy density cutting arc that is capable of cutting any conductive material. The latest technology systems can be almost completely automated to eliminate the need for operator expertise and do their best work on 0.5 – 50 mm steel thickness with a maximum up to 80 mm, and do well on steel and aluminium from 0.5 mm through to 160 mm thickness. US$75,000 – 90,000. Higher speeds are possible, but torch height control systems and better fume control are necessary for HyDefinition (a patented consumable technology of Hypertherm) class plasma cutting.
. Higher current densities are made possible through the use of vented nozzle technology that delivers sharper top edge quality, smoother cut surfaces with minimal angle deviation combined with long nozzle life). Plasma has the lowest cost per part on 6 – 50 mm thick steel. With the latest technology CNC and software, plasma is extremely easy to learn and use as expertise is embedded in CAM software, so minimising the need for operator expertise. This is definitely the fastest, most productive of all the processes, being faster than laser on more than 6 mm and faster than oxy-fuel up to 50 mm. Typical cut part accuracy on steel is in the range +/- 0.38 – 0.5 mm. Cut edge angularity is 2 to 3 degrees on steel under about 9.5 mm, and about one degree on steel 12.5 to 38 mm thick. A relatively narrow heat affected zone is produced, typically less than 0.25 mm, with very little edge hardening and excellent weld ability. Smooth edges with minimal dross on steel. Simple systems to maintain which typically can be handled in house, or with factory phone tech support. Furthermore, fibre lasers operate at a light wavelength that allows them to deliver the beam to the cutting head using a flexible (fibre optic) cable, as compared to the mirror and tube delivery system used by CO2 lasers. This provides a simpler complete system layout which requires far less maintenance as compared to the older technology. The laser uses a properly focused, high energy laser to melt a small spot on the material being cut, and an assist gas (typically oxygen for cutting steel) to remove the molten metal. A three kilowatt fibre laser can cut with similar speeds and power to a 4-5 kilowatt CO2 laser, indicating its better efficiency. Cut capability on steel is from thin gauge to about 20 mm. US$400,000-500,000. Laser systems require more precise motion control as well as a light tight enclosure for safety reasons. The big advantage of laser is with materials that are thinner than 6 mm. Above this thickness the speed is considerably reduced, although excellent cut quality and accuracy are maintained. It provides the lowest cut costs on thin materials, but is higher than plasma on steels above 6 mm. With the best technology CAM software and CNC control the system is as easy to operate as the newest technology plasma systems. All settings can be automated. By far the best productivity on gauge thicknesses upwards of 1 mm, but speeds are similar to plasma at around 6mm. 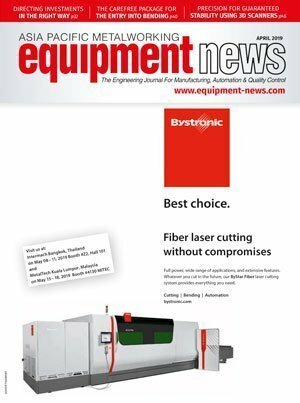 The best technology fiber lasers can produce cut part tolerances in the range +/-0.25 mm. This is better than plasma and almost as good as abrasive waterjet. Edge angularity on most materials and thicknesses is less than 1 degree. Slightly narrower heat affected zone as compared to plasma. Maintenance requirements have reduced dramatically over earlier solid state design CO2 lasers and can generally be handled in house in conjunction with phone technical support. Waterjet technology has been in use for decades for cutting a wide variety of materials from cake to granite. Softer materials can be cut with a pure high pressure waterjet (2,750 – 4,135 bar) forced through an orifice to increase its velocity and energy density. Abrasive water jets inject an abrasive (usually garnet) downstream of the orifice, so the abrasive becomes the `teeth` of the saw, propelled by the waterjet to do the cutting job. Today`s best technology systems have pumps that can boost water pressure to as much as 6,900 bar. Higher pressure means higher cutting speeds, but this has historically increased down time for maintenance (pump seals fail periodically and must be replaced). The latest technology systems have improved rebuild ability, allowing for minimal downtime for maintenance. Huge advantages for abrasive waterjet over other processes are that no heat affected zone is produced and its ability to cut almost anything. In addition waterjet provides the best tolerances. The biggest downside of waterjet is that the cutting speeds are lower compared to the other processes. USD$100-150k. Relatively simple motion control with relatively low speeds keeps the cost lower than laser and slightly higher than high definition plasma. Because cost per part is affected by cut speed, this is the most expensive cutting process. The consumable garnet also adds to the costs. Probably the easiest to use process. It can be fully automated with the best CAM and CNC systems and operator expertise can be low. Slow on steels, but better on aluminum. By far the best cut part accuracy, typically within +/- 0.127 mm, and less than 1 degree of cut edge taper. Cut edge smoothness and quality can be controlled by cut speed (slower = smoother) and the grit size of the garnet abrasive. There is virtually no effect to base material metallurgy. Simple systems to maintain, and typically can be handled in house. At a recent show Hypertherm displayed 12.5 mm steel parts that had been CNC cut with five different processes; an air plasma (Powermax105), a LongLife Oxygen based industrial plasma (MAXPRO200), a high definition class plasma (HyPerformance HPR130XD), a 3 kW Fiber Laser (HyIntensity Fiber laser), and an Abrasive Waterjet (HyPrecision Waterjet). The part file was an AutoCad style .dxf file that was input into the CAM software for each of these processes. Superficial inspection showed all of the parts appeared identical, but upon closer inspection, edge taper and hole taper on the air plasma cut could clearly be seen. Furthermore, on examining the more expensive processes the angle of the taper diminishing, with less taper on the oxygen plasma, was almost completely absent with the high definition plasma, and virtually non-existent with the laser and waterjet samples. The bottom line, while the cuts were very nice with all of the systems, the systems with more expensive capital costs, and more expensive operating costs clearly had cut quality and metallurgy advantages. Using only 12.5 mm steel to compare the different cutting processes may not be completely fair for those that desired excellent cut quality at the lowest price, as that would likely force the choice of the high definition plasma. If the sample had been 3 mm aluminium, then the waterjet and laser would definitely be the most productive, most accurate processes. If the criterion used is low capital cost with looser tolerances, perhaps the air plasma would have been adequate with its extremely low capital cost. Selecting the best cutting process is difficult as this is depending on the specific application, the business needs and what areas are most critical. For instance; capital equipment cost, cut quality, productivity, operating costs and flexibility. This article provides more insight in the different cutting processes, the estimated costs involved, possibilities and limitations, which could be helpful when choosing the process which best fits the application needs. Oxyfuel is limited to mild steel and is not effective on stainless or aluminium. It is typically used for very thick plate. Plasma provides an optimal mix of cut quality, productivity and operating costs for mild steel, stainless and aluminium across a wide range of thicknesses. Laser provides excellent cut quality and productivity on material less than 6 mm and can be used up to 20 mm. Waterjet can be used to cut a wide variety of materials including steel, stone, granite, food, etc. It provides the best tolerances and there is no heat affected zone, although cut speeds are lower. 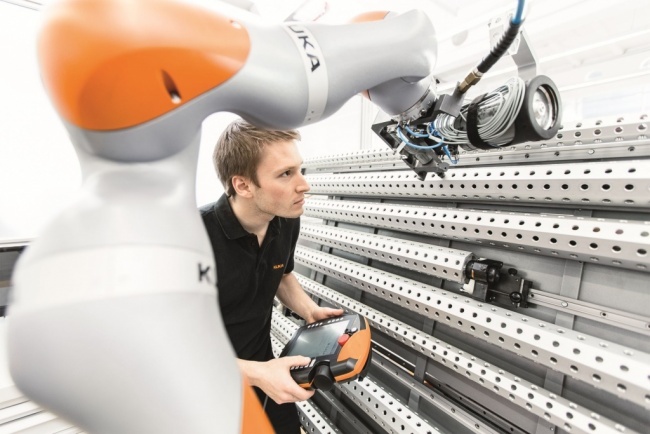 Humans And Robots—Welding Side By Side?